Though AMC has had some popular scripted series that have run for years, many others have been cancelled after just one season. How are the current crop of shows doing? Which will be cancelled or renewed? We’ll have to wait and see. 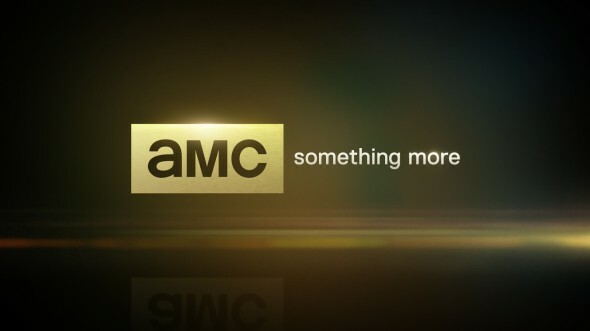 Scripted AMC Network shows listed: Better Call Saul, Breaking Bad, Dietland, A Discovery of Witches, Fear the Walking Dead, Feed the Beast, Halt and Catch Fire, Hell on Wheels, Humans, Into the Badlands, Killing Eve, Lodge 49, Low Winter Sun, Mad Men, McMafia, The Night Manager, Preacher, The Son, The Terror, Turn: Washington’s Spies, and The Walking Dead. Last update: Most recent ratings added for A Discovery of Witches, Into the Badlands, and Killing Eve. There’s lots of data that AMC execs look at when deciding whether to renew or cancel a TV series but ratings are the major ingredient. Here’s an updated listing of all of their recent/current primetime scripted shows. The ratings for The Walking Dead are still good enough for it to be renewed for a season 10. AMC is destroying Into The Badlands. We had the first half of season three, and then Nothing. It is really awful. I get the feeling it will end with the second half of season 3, which is wrong. I was expecting 2019 to have 16 episodes for season 4 of ITB. I have been so thrilled watching The Terror! It led me to read Dan Simmons’ novel AND to research further into the historical aspects of the series. I had not realized Erebus & Terror were so recently discovered! That fact alone is serendipitous with this remarkable series! PLEASE DO NOT CANCEL IT! I absolutely agree with you 100 % !! Terror was an AMAZING show! But the way it was/is ended, a second season would not make sense really…..unless they do season 2, either as a prequel or a story about HOW they discovered the ships!? The Terror was absolutelly BRILLIANT and left a “sadness, and wanting for MORE” ; within me…..; but to make a s.2 , would almost ruin the experience. I would still watch it tho…. Perhaps because we DVR these shows we LOVE, and watch them over and over again LATER…!? I can,t believe people would rather watch stupid zombies walking around over and over again boring .I am talking walking dead. Hope to be viewing the preacher next season. I barely watch TV at all &that is the one series I never miss!!! Hell on wheels was a good TV series, i miss it.